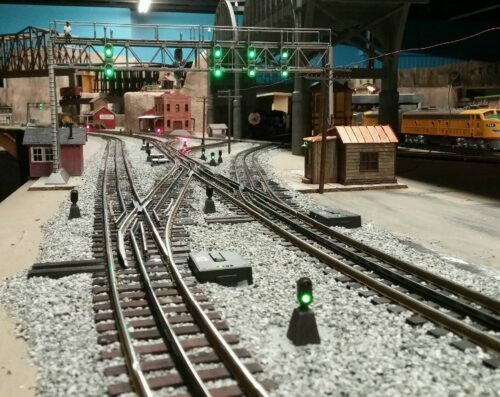 The lead in yard photo (previous page) is from a customer’s layout where he used several of these products to reliably control the switch machines, relays, and signals. 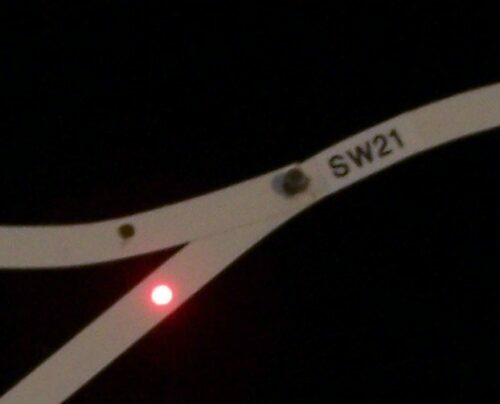 The dwarf signals, overhead LEDs, and supporting power supplies are also available here. There are many potential applications beyond those summarized in this section. In short, if you need to find a way to control track, signals, or switches; we can likely support your implementation. So far we have found solutions for many of our customers. Sometimes, it means referring to an existing product of another, and that is fine with us. Have a challenge and not sure how to make it work? Contact us at our email above. The more information you can provide on what you have and what you are trying to, the faster we can suggest solutions. Almost every product listed here and variation of its use found in the instructions came from a model railroaders curiosity to ask, “How can I…”. 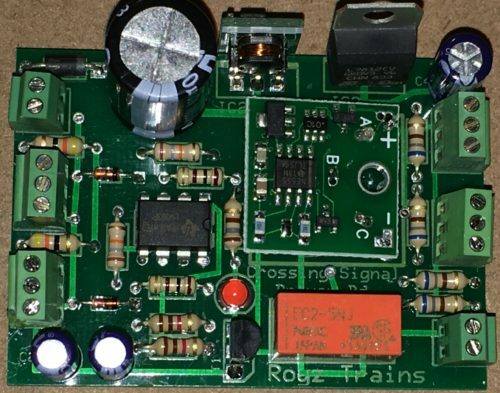 Accessory Controller These are multi-faceted controllers that may be triggered by a logic signal, AC signal, open/grounded signal and others. 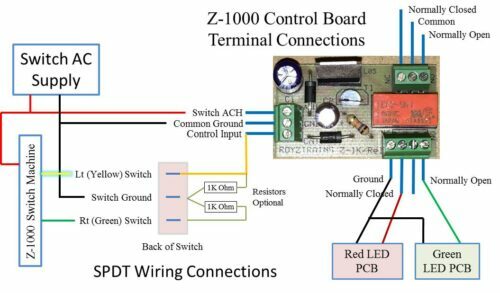 Once triggered, the result may be to turn on LEDs, lighting, either low or high current accessories, and potentially trigger other actions. 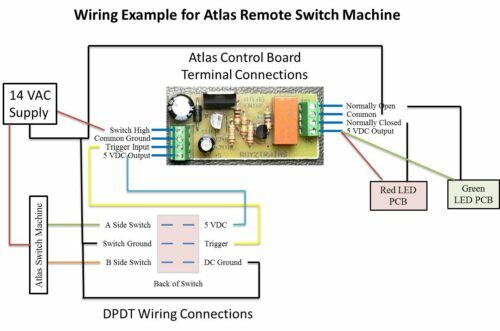 When used with switch machines, they can turn isolated rail power on/off to minimize shorts or dropouts. 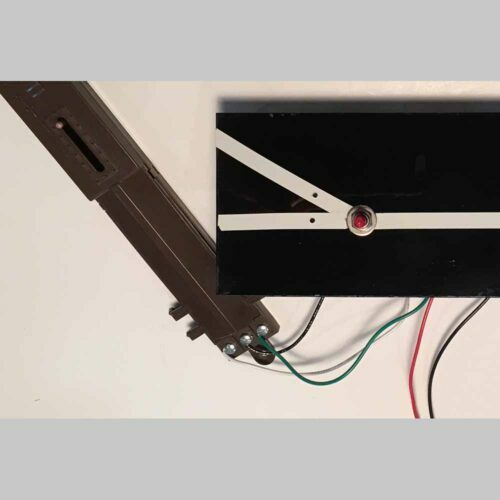 A more extensive application is to control lead-in tracks for crossings to prevent accidents. In addition with additional items, you can fully automate cross-bucks (with or without gates) for any number tracks simultaneously. The Popular line of switch machines include Atlas, Z-Stuff , Tortoise and Lionel. We can support all these and more! Customers have requested special support for remote operation, LED indicators, relay control/implementation, signal activation/operation, etc. We like challenges and have additional capabilities not detailed here! If you need something not listed, just drop me an email and we may already have it! 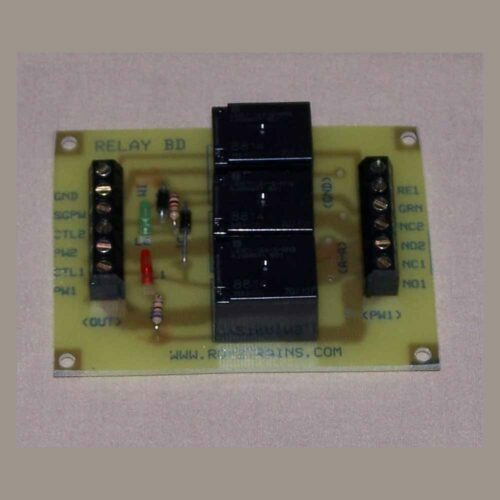 Relays can control up to 15 Amps (AC or DC) with a low level signal. All the items have screw terminals for easy installation. Except the z-2500 panel control has three wires for easy attachment. Every item has multi-page instructions for application and installation. 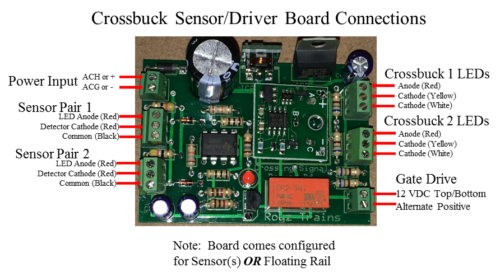 Wiring diagrams and finished example photos make application easy. Contact us if you have any installation/application questions! 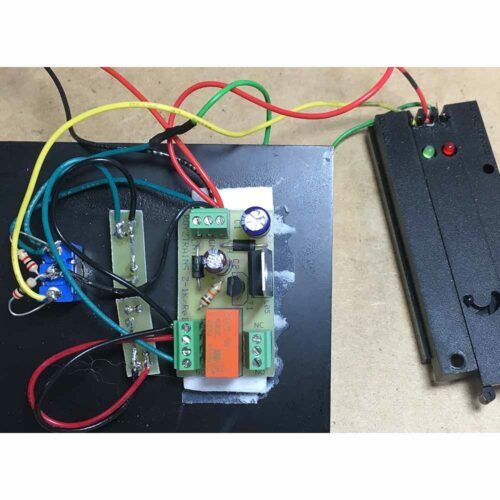 Turntable Control This resulted from a need to control speed and direction of a DC motor. Quick expansion to a turntable application. If what is offered is close, but not quite there, let us know what you want to do! 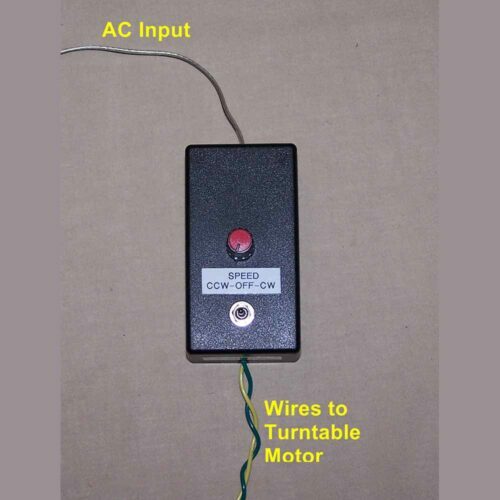 Turntable controls were developed initially to support the Millhouse Turnmtable but also support other DC motors up to 12 Volts!